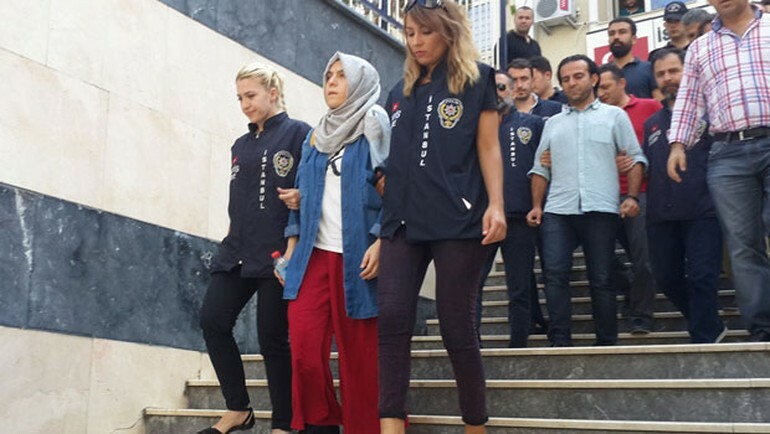 An indictment prepared by an İstanbul public prosecutor seeks 10-year jail sentences for 28 journalists, most of whom worked for media outlets affiliated with the faith-based Gülen movement. The indictment, prepared by prosecutor Murat Çağlak from the İstanbul Chief Public Prosecutor’s Office, accuses 28 journalists, 25 of whom are currently in jail, of membership in a terrorist organization and seeks a jail sentence of from five to 10 years. The other journalists indicted are Abdullah Kılıç, Ahmet Memiş, Atilla Taş, Bülent Ceyhan, Cihan Acar, Cuma Ulus, Davut Aydın, Gökçe Fırat Çulhaoğlu, Hüseyin Aydın, Muhammed Sait Kuloğlu, Muhterem Tanık, Murat Aksoy, Mutlu Çölgeçen, Oğuz Usluer, Seyid Kılıç, Ufuk Şanlı, Ünal Tanık and Yetkin Yıldız. In the meantime, another journalist under indictment is Said Sefa, the editor-in-chief of Haberdar news portal. Sefa, who is currently in exile, is facing a life sentence in addition to 15 years on charges of attempting a military coup and being a leader of an armed terrorist organization. He is also being accused of being the owner of a Twitter account known as “Fuat Avni,” which acted as a government whistleblower. Sefa has frequently denied any links to the Fuat Avni account. The military coup attempt on July 15 killed over 240 people and wounded more than a thousand others. Immediately after the putsch, the government along with President Recep Tayyip Erdoğan pinned the blame on the Gülen movement.